Natalia and Rick are Emmy Award Winning Actors with a combined 45 years in the business both primetime and daytime. Both teachers work from the same philosophy of acting. 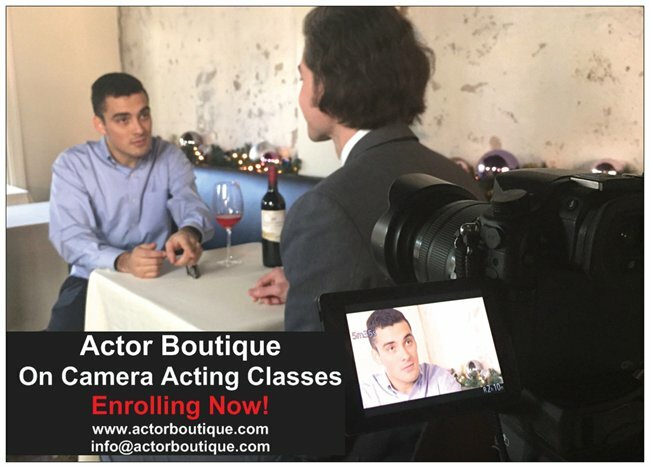 Each has her/his distinct style, techniques, exercises, and passions to empower you to be the strongest actor you can be. Their classes compliment and aid each other giving you comprehensive and extensive training. This year, we’ve added classes with special guests Erin Bethea (New Life, Fireproof) and Drew Waters (Friday Night Lights, Breaking Bad, NCIS), as well! FALL SCHEDULE of CLASSES 2018! Mondays, 7pm to 9:30pm, Big Picture Casting, 1026 Atlanta Ave., Decatur, Ga. This class runs on-going. You can join or cancel at anytime. Serves both beginning and advanced actors. Actors are paired according to their level of training. Wednesdays, 7pm to 9:30pm, Actor Boutique, 1026 Atlanta Ave., Decatur, Ga. Rigorous audition technique work and practice each week. SPRING SCHEDULE of CLASSES 2019! Tuesdays, 7pm to 9:30pm, Actor Boutique, 1026 Atlanta Ave., Decatur, Ga. Serves both beginning and intermediate actors. Actors are ON CAMERA each week.